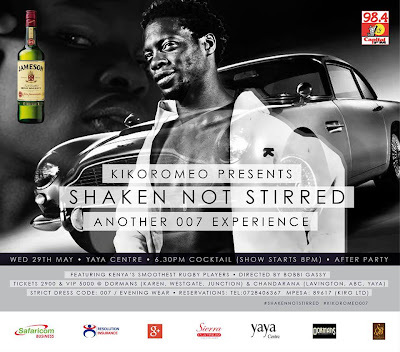 KIKOROMEO PRESENTS SHAKEN NOT STIRRED ANOTHER 007 EXPERIENCE. #ShakenNotStirred show will be in a beautiful dome by Nomadic Tents, in the front parking outside the Yaya Centre. Directed by Bobbi Gassy, this show is taking Nairobi events to a whole new level! The collection is looking fabulous & brings back memories of KikoRomeo's Hot and Cold Season collections, which used to be held every 6 months. Featuring international top model Ajuma, 8 other gorgeous girls and 8 Kenya International Rugby players from XVs & 7s. Sponsored by Jameson, Capital FM, Google, Safaricom Business, Nomadic Tents, Sierra, SuzieBeauty, Chandarana, Dormans, Resolution Insurance, Xtreme Media Solutions, Chinese Kitchen, Saffron, & Yaya. Please note in a bid to support safety on our roads Jameson will be serving welcome drinks and then drinks at a discounted rate. 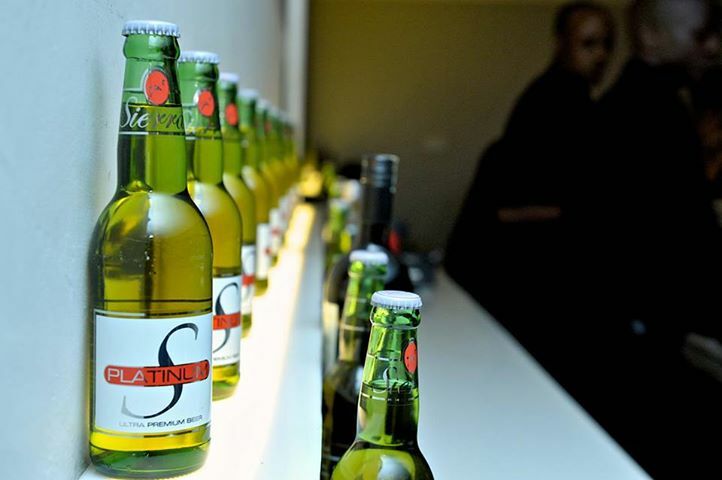 Tickets available at Dormans (Westgate, Junction, Karen) and Chandarana (ABC, Lavington, Yaya) and KikoRomeo Yaya. Call 0728406367 or 0733516317 to reserve tickets now! MPesa Till No. 89617 of Kiro Ltd.